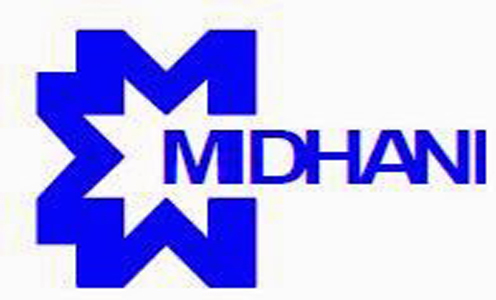 MIDHANI, A Mini Ratna-1 and an ISO 9001-2008 company, is a hi tech Metallurgical industry under the administrative control of Defence, engaged in the manufacture of super alloys and special steels, titanium alloys in various mill form and shapes for strategic sectors like Defence, Space,Atomic Energy and also for Commercial sectors. The present turnover of the Company is over Rs.750 Crore. The company is looking for high performing, dynamic and highly skilled technical/ nontechnical hands in Non-Executive cadre. MIDHANI Invites Application for 41 post of Senior Operative Trainees. Interested Candidates can apply online from 25-06-2016 to 29-07-2016. 1- 35 Yrs for 2 Yrs experience. 2- 42 Yrs for 7 Yrs experience. For SC, ST, OBC , Ex-Servicemen & PWD as per the Govt. Directives. Diploma in relevant Engineering(Mechanical/Metallurgy/ Civil/ Electrical/EEE) with 60% marks. 1- 2 years post qualification industrial experience in the relevant area. 2- 7 years post qualification industrial experience in the relevant area. 2- Candidates belonging to SC/ST/PWD/Ex-Servicemen category are not required to pay the application fee. In the form of online payment through Netbanking/ Credit card/ Debit card etc. Candidates short-listed based on the initial screening of applications will be called for written Test. Candidates qualified/shortlisted in the Written test will be called for Practical /Trade Test (Wherever applicable). 1- The interested and eligible candidates can visit the MIDHANI URL: www.midhani.gov.in/ and then read carefully the eligibility criteria and the instructions to apply online by clicking on the link e-recruitment. 2- Application should be submitted strictly ‘ONLINE’ by logging on to Midhani website given above. The website will be kept open between 10.00 Hrs on 25.06.2016 till 17.00 Hrs on 29.07.2016 for this purpose. 3- Candidates are required to possess a valid E-mail ID and contact mobile number which is to be entered in the application so that intimation regarding Written Test /Trade test/Practical Test can be sent. The same has to be maintained till the completion of Recruitment Process. Midhani will not be responsible for bouncing of E-mail sent to the candidate. 4- The candidate has to make a payment of Rs.100/-(Rupees one hundred only) towards application fee through online payment using the debit card/ credit card/ net banking using the payment link available. Candidates belonging to SC/ST/PWD/Ex-Servicemen category are not required to pay the application fee. 5- Candidates have to upload all the relevant documents pertaining to date of birth proof(SSC certificate), qualification, category, experience through the link available in the application form. Application without supporting documents will not be considered. 6- After successful submission of online application, the candidate can take print out of the submitted application and keep it for future reference.